Time slipped away from me last week, as I had intended to post about the pending port deal. 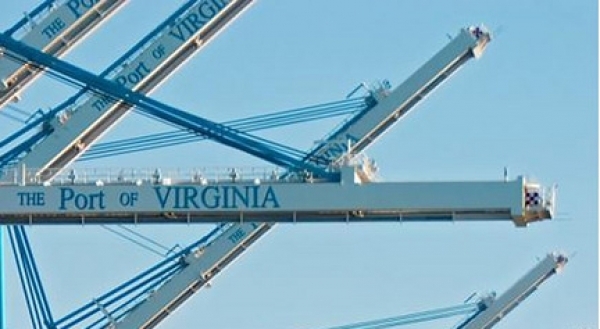 In an excellent two–part editorial that appeared in The Virginian-Pilot a week ago, the plans to privatize Virginia’s ports is moving full steam ahead and, as editorial writer Shawn Day pointed out this past Sunday, without any real input from the citizens. I think the real reason behind the rush is that the administration fears the legislature will, when it reconvenes in January, make changes to the Public-Private Transportation Act of 1995, under which this port transaction is being conducted. There are folks upset on the tunnel deal, also done under that law, and such displeasure should, rightfully, result in changes to it. The legislature is in the exact same boat the taxpayers are: on the outside, looking in. A little over a month from now, we’ll know for sure: by October 15, the McDonnell administration will announce its preference as to who should run the ports. If you are interested, you can review the presentations made in the August 24, 2012 Port PPTA Legislation Review Panel meeting here (bottom of page). Next Post How ’bout them ‘Skins! Excellent editorials. I really do not see what the rush is about. I have no problem with privatization, but who will negotiate the contract on behalf of Virginia? I would put forward the names of two businessmen/politicians who might be up to the task: Don Beyer and Mark Warner.